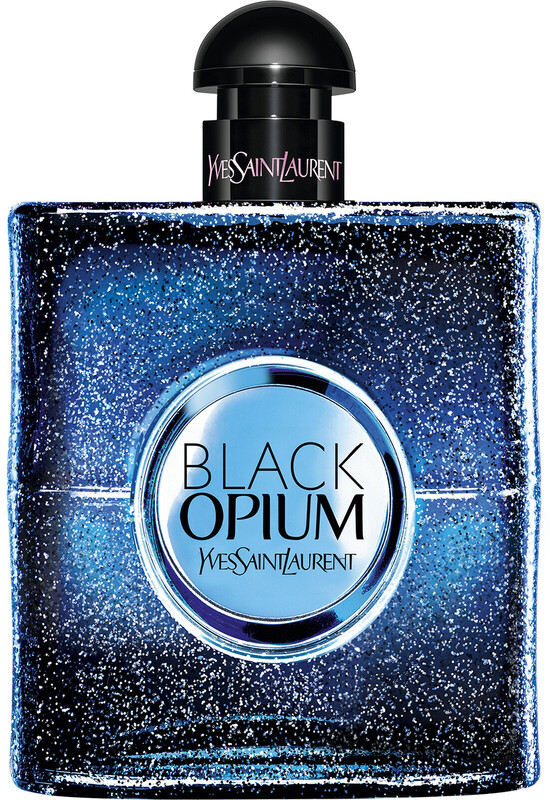 Discover the magnetic energy and seductive power of Yves Saint Laurent Black Opium Intense Eau de Parfum Spray, a fresh and mysterious take on an iconic classic incorporating the Black Opium signature of black coffee with the thrilling aura of blue absinthe. This electrifying and unashamedly bold fragrance beckons the night, where anything is possible, and spirits come alive. Inspired by an independent woman who follows her intuition and desires at all times; nothing can stop her. 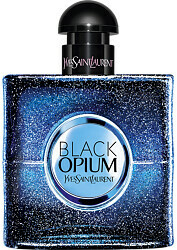 Black Opium Intense is for the female who is excited by the possibility of what the night holds. She is sensual, alluring and intensely intriguing. 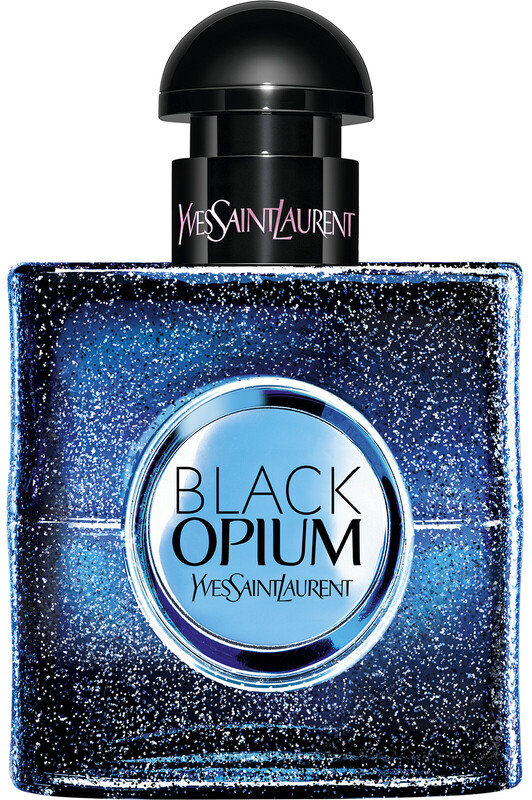 Black Opium Intense opens with blue absinthe, flavoured with wormwood and aromatic herbs, combining with boysenberry for a hit of thrilling freshness which effortlessly melts into refreshing orange blossom and jasmine, omitting a wave of sensual femininity at the heart of this ultra-seductive perfume. At the base, overpowering desire takes over as femininity plunges to the dark side, and sultry notes of coffee, liquorice, sandalwood are enhanced by creamy vanilla, creating a sultry warmth that is sure to leave an unforgettable trail and will last long into the night. This fragrance has certainly caused quite a stir at Escentual Head Quarters amongst both male and female members of staff! Its captivating aroma appeals to all and will undoubtedly spark the question ‘What scent are you wearing?’ And of course, we can’t talk about this fragrance without mentioning its glittery deep blue bottle. Inspired by the hue of absinthe, the bottle is illuminated from the heart and reflects the mysterious and thrilling aura of Black Opium Intense and the woman who wears it. 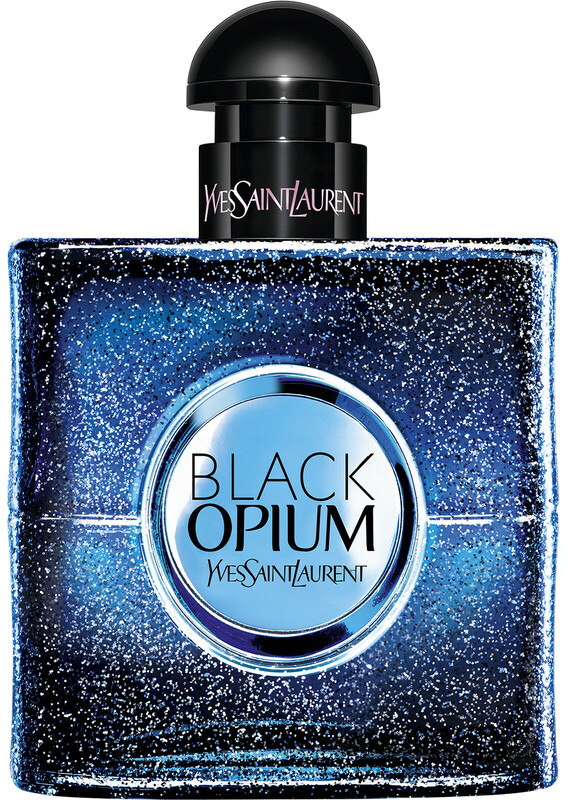 If this is your first encounter with the addictive and thrilling world of Black Opium, you’re going to want to explore this unforgettable scent further. Why not take a look at the full range that incorporates indulgent body products to layer your fragrance, as well as different versions of this adrenaline-filled scent.